Whiskey In The Jar Irish song lyrics and guitar chords, The Dubliners. A traditional song.This song is probibly the most famous folk / Irish song of all time. Some say It dates way back to the 1730s. It was brought back to life by The Dubliners in the early 60s with Luke Kelly on vocals. There are many versions around the world but the one here is by The Dubliners. The video lesson is by Brian Flynn who also plays it in the key of C Major. Lear this one because it's a standard at most sessions and at some stage you will be asked to play it. Sayin': [F]"Stand and deliver for you[C] are my bold deceiver". There's[C] whiskey[G] in the[C] jar. But the devil takes the women for they never can be easy. Then sent for Captain Farrel, to be ready for the slaughter. But I couldn't shoot the water, so a prisoner I was taken. And I'm sure he'll treat me better than my darling sporting Jenny. 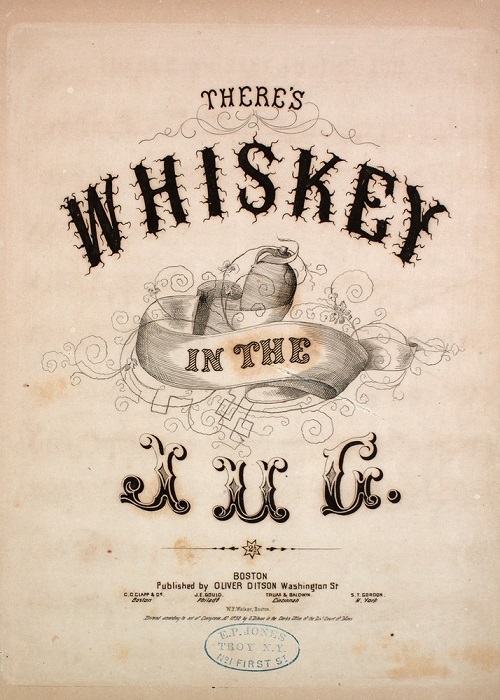 The above photos of the sheet music named it as Whiskey In The Jug. This is the earliest printed version of the song I could find. The date it was published was 1858 in Boston Mass. 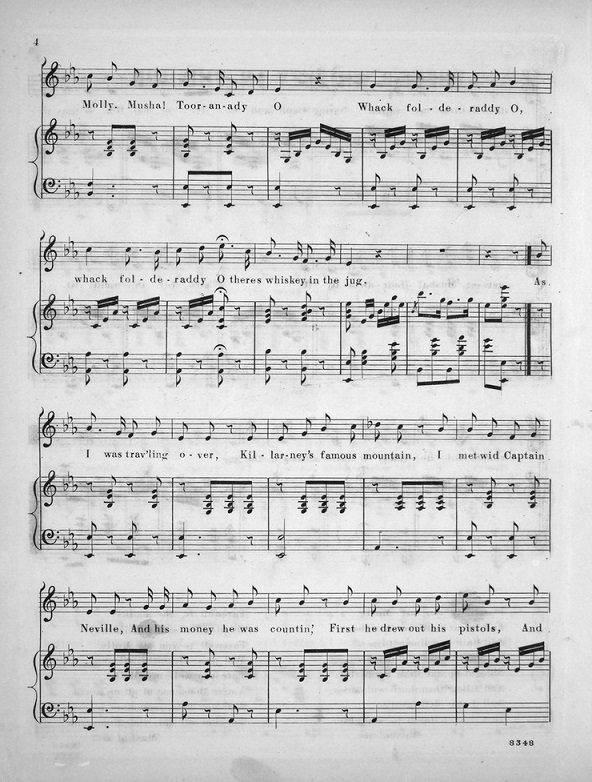 Although it says Whiskey In The Jug it's clearly the same song as whiskey in the jar, although the melody differs slightly, the words are basically the same. This version by Brian Flynn is the same as The Dubliner's version with Luke Kelly doing the singing, same chords that is.